Inadequately treated convergence insufficiency (CI) can consign an individual to a needless lifetime of struggle. We’re beginning to highlightbright spots in the effort to promote awareness of this significantly overlooked condition. CI:The Private Eye Goes Public -Part 3…who’s looking out for the kids? In Part 1 and Part 2 of CI: The Private Eye Goes Public, we have uncovered a vision dysfunction that research shows affects as many as 1 in 12 children in the US. 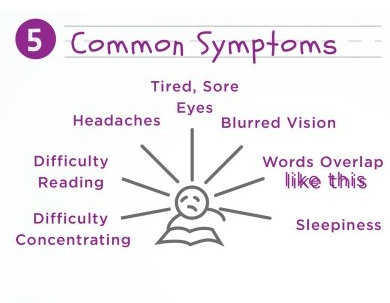 This binocular vision disorder, known asConvergence Insufficiency (CI), has been thoroughly researched over 10 years with gold-standard multicenter NEI studies and yet 2 years since the landmark research publication of these studies, CI continues to be a silent crippler of children. As concerned parents we all want the best for our children. This is particularly true when it deals with a health related issue. If you have a sick child with a disorder that needs a doctors attention, you expect that your doctor will make the correct diagnosis and provide treatment or advise you where to obtain treatment that will successfully resolve your child’s problem. Convergence is the coordinated movement and focus of our two eyes inward. Close work requires us to focus both of our eyes inward on close objects, including books, papers, computer screens, etc.